It was only a matter of time before the fabulous Eva Green (Casino Royale, 300: Rise of an Empire) started to get attention from superhero movie casting directors. The fearless and fierce French actress is on top of Warner Bros' wish-list to star as a villain in the upcoming 'Wonder Woman' movie. 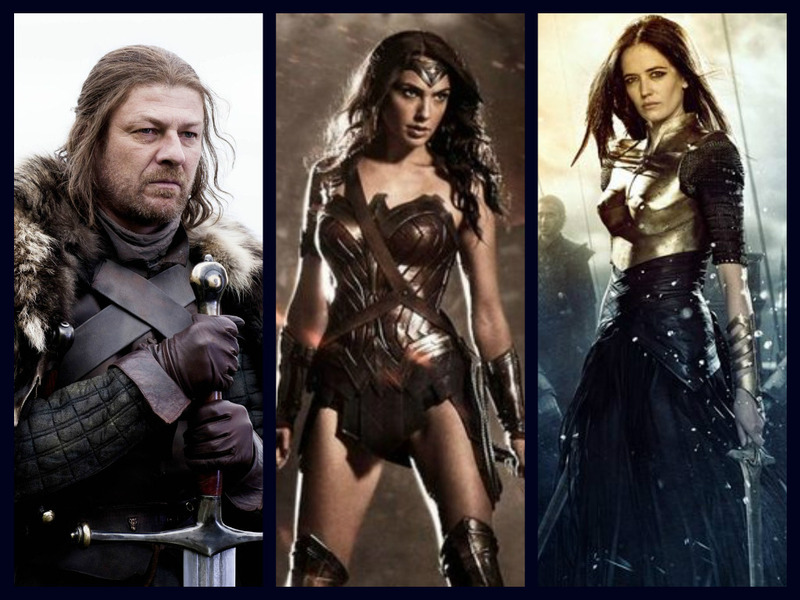 Also on that list is fan favorite Sean Bean to play another villain. According to sources at Heroic Hollywood, this hot rumor hasn't been confirmed but supposedly Green and Bean are being "eyed" for the roles of Circe the Sorceress and Ares the God of War respectively. Warner Bros is aiming high with these hopeful casting choices as both lend a huge amount of talent and genre-cred. Green has consistently given powerful and electrifying performances including her current role as a spiritualist on Showtime's Penny Dreadful. She's played a sorceress before as Morgan le Fay on 2011's miniseries Camelot. No stranger to comic book based movies as she's starred in 300: Rise of an Empire and Sin City: A Dame to Kill For. If anyone can pull off being a worthy adversary to Gal Gadot's Wonder Woman, it's Eva Green hands down. As for Sean Bean, if you've seen a movie in the last 25 years you'll recognize the face, most notably as Boromir of The Lord of the Rings trilogy. If you're a fan of HBO's Game of Thrones you know him as Ned Stark. Bean is a phenomenal actor and would be a great choice to join the DC cinematic universe. Even if the studio doesn't score these amazing actors it does sound like the film is embracing the Greek mythology that played such a big part of the rebooted comic bok series in the New 52 relaunch. Wonder Woman had major conflicts with her powerful half-siblings. This is still all rumor so be cautious as we'll update the story as we get more information. We love this rumor though and hope it becomes true.